To mark the 40th year of Amicus Films' Tales From The Crypt, I watched the recently released Australian blu-ray, a very welcome HD upgrade. 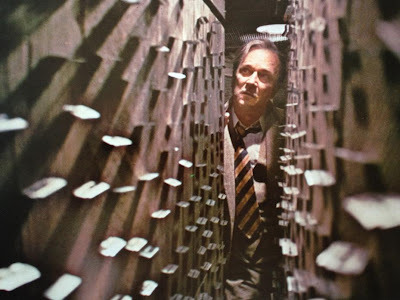 With so many darkly-lit horror films, there's sometimes 'picture lag' on DVD, where the shadows and darker areas freeze and shift, moving differently to the lighter foreground. Probably a combination of DVD compression and viewing it on an LCD screen, made even more noticeable by a larger screen-size. Blu-ray lessens the problems with its higher storage capacity. There's a little grain, as expected, and the print seems to have been in good condition. It's a slightly lighter presentation than I'm used to, Peter Cushing's 'black eye' masks are even more noticeable now. Of course, it's easy enough to adjust the contrast and brightness at home to make the scene suitably murky. Grimsdyke's scenes are so brief, I wish they'd just painted his eyes black and guided Cushing into doing the scenes completely blind. 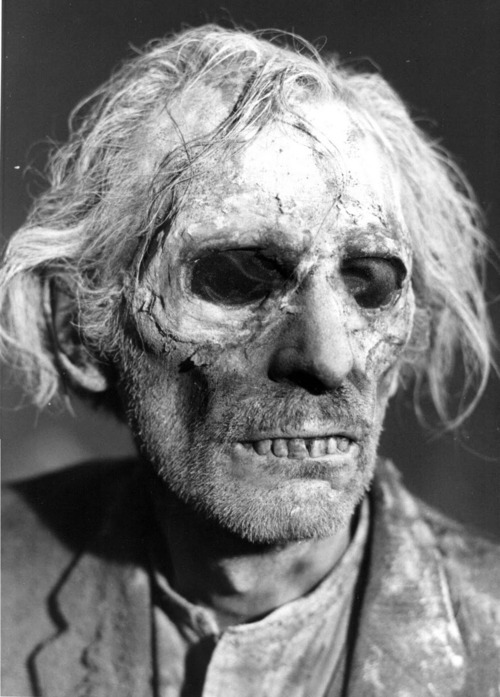 Okay, I think about that scene too much... but it's still one of the greatest-looking zombie make-ups. Tales From The Crypt of course has other undead characters... Plus of course the glorious, restored, censor cut that appeared in all the DVD versions. 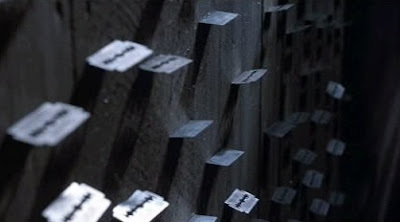 It used to be a huge jumpy film splice when it screened on TV in the 70s and 80s. The Joan Collins segment really grabbed me. My first taste of a yet-to-be-named 'home invasion' story. Almost a silent movie, the story unfolds as we share her character's thoughts, communicated through some great visual storytelling. She discovers there's a raving lunatic just outside the house (dressed as Santa Claus), and quickly has to secure the house, barring the windows as he stalks around looking for a way in. All this is conveyed through her eyes and reactions. There's no dialogue, just an ironic roster of jolly Christmas carols playing on the radio. It's not the only story with effective, lengthy, wordless scenes. Ian Hendry's Maitland stalks around after a car crash, but we only see the horror develop through his point-of-view. In the final story, Major Rogers runs a home for the blind by skimming the money for himself. He pays for his crimes, locked in a solitary cell, again with no-one to talk to. Along with him, we experience his punishment gradually and silently. While the original EC Comics stories would have a cruelly witty captioned commentary from the Crypt Keeper, the film presents him as a character inside the action, rather than a TV host. He's presented as a marvellously mysterious and ambivalent figure. 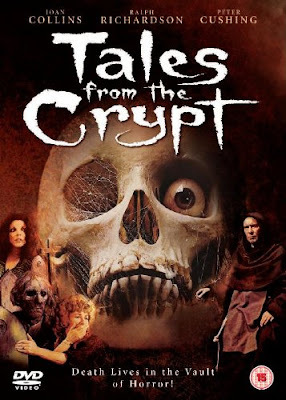 What's missing in this early visualisation of Tales From The Crypt is humour, but that's certainly a benefit. Without the release of laughter, each ghastly twisted ending remains more haunting. While IMDB currently lists the UK release as "October 1972", the UK premiere was September 28th (according to a contemporary issue of Films & Filming). 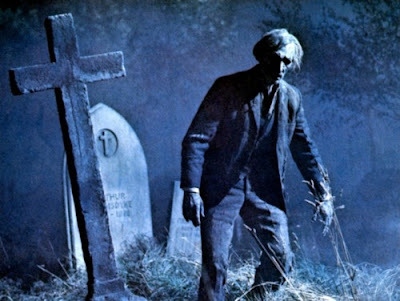 In London that month, Crypt was up against John Boorman's wilderness classic Deliverance, Michael Ritchie's brutal Prime Cut and Ken Russell's angrily artful Savage Messiah. Tough, grim competition, but Crypt continued the success of the many short story horror films from Amicus Productions. 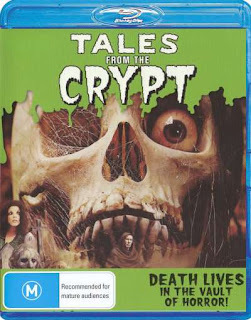 I was initially reluctant to order this Australian blu-ray, released by Shock Entertainment, because of the mixture of right and wrong artwork on the sleeve. There are photos from both the 1972 film and the 1990s US TV series. On the front cover is the poster from the film, but the typeface and green gloopy art is from the TV series. The front cover gives 50/50 odds as to which movie it contains. 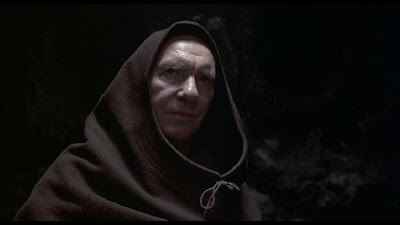 Thankfully, it's the Amicus film, but these confusing errors must have lost them sales. In other trivia, the Wikipedia piece on the movie reports that writer/producer Milton Subotsky based most of his script on this 1964 volume of reprints because the original comics weren't available. Explaining the coincidence of why this paperback (published in the UK and US) has four out of the five original comic strips. 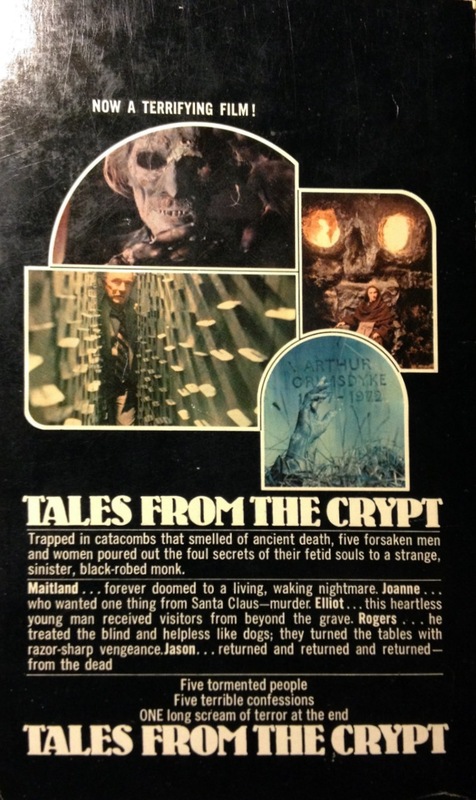 (The fifth story was picked from the 1965 Vault of Horror reprint). Hadn't heard of this release, so thanks for the heads up, Mark. One of my favourites that was out of circulation for a couple of decades - eventually was able to see it again at the NFT and then on the US DVD - so I guess I can put the money I'm saving by not having to buy the flawed Hammer Blurays towards this instead. I was surprised this one hadn't already been released on blu ray. I am always shocked at the fact it takes so long for some of them to be released on blu ray such as jaws which was just recently released as well. Finally coming to US Blu-ray in the fall as a double feature with The Vault Of Horror!.. Don't bother buying it, it is CENSORED - the gorying scenes are replaced with stills, as if picture is paused before the gore - WTF !!! That TV Times cutting is from 6th Dec, 1975, the first time that the film was screened on TV.